The term “sports injuries” clearly implies that those engaged in athletics are the ones who experience these particular kinds of injuries. However, just about anyone can end up with common sports injuries, even if they don’t have a very active lifestyle. 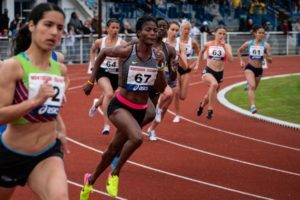 Amateur athletes, as well as everyday people, can find themselves struggling with an injury commonly associated with athletics. Learning a little bit more about common sports injuries can help you reduce your risk for them, whether or not you participate in sports habitually. Overexertion or overextension of muscles, connective tissues, and joints are leading causes of many sports injuries, as well as injuries people may deal with at work. Attempting to lift too much, moving abruptly, reaching too far, or otherwise pressing your body past its limits can all result in a serious injury. Strains, sprains, and tears can occur as a result. For athletes, common locations for these injuries include the ACL tendon in the knee, the shoulders, the hands, and the ankles. People can also hyperextend or damage joints in their backs, elbows, wrists, fingers, and necks. Treatment for these conditions will range from anti-inflammatory pain medication to surgery and physical therapy, depending on the severity of the injury. The best option is to prevent these sorts of injuries from occurring in the first place. Knowing your body’s limits is always the best choice, as is stretching before any kind of physical activity. Don’t push yourself to lift more than you should or to perform beyond what you believe is physically possible for your body. While you want to challenge yourself, you don’t want an injury that will leave you in pain for a long time. Repetitive motion injuries, also called repetitive stress or strain, result from using the same part of your body over and over for the same function. That can weaken or stress the muscles and connective tissue that facilitates that motion. Athletes deal with these sorts of injuries – from catching and throwing balls, waving a racket, or repeatedly starting and stopping an action. Athletes aren’t the only ones at risk for repetitive strain injuries. Many professionals, from office workers and truckers who may have carpal tunnel syndrome to manufacturing workers on their feet on the line all day, can also experience repetitive stress or strain injuries. They can impact the arms, legs, hands, feet, back, and even jaw. Treatment for these conditions may include pain management, physical therapy, and occupational therapy. Rest is almost always required. Avoiding common sports injuries isn’t a task only for professional athletes. The kinds of physical maladies qualified as sports injuries can affect just about anyone, even those who are only casually athletic or who work in a sedentary career. Proper stretching and respect for the limitations of your body’s abilities are critical to avoiding sports injuries, whether on or off the field. This entry was posted in Pain and tagged sports injuries. Bookmark the permalink.